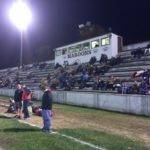 Menominee, Michigan – October 21, 2016 – It was a tough night for the Marquette Redmen football team as they traveled to Menominee to take on the Maroons in the final game of the season. The Redmen looked to close the season out on a strong note. 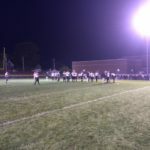 Menominee was looking to garner momentum heading into the postseason as they were coming off a loss last week. 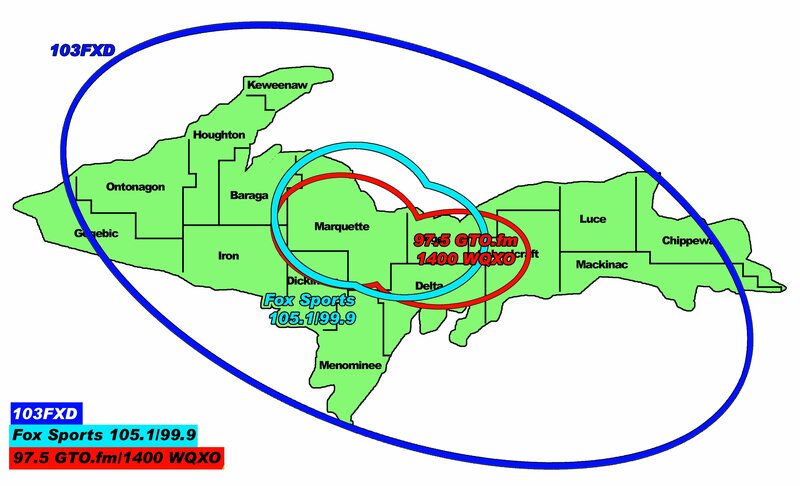 Menominee got off to the start most teams dream about. On the first play from scrimmage, Keifer Rasner took the snap, ran to the outside, and took it 74 yards to the house to give Menominee a quick 6-0 lead. On the next possesion for the Maroons, the Redmen defense held tough and forced a turnover on downs. 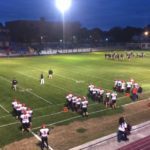 Marquette could not capitalize on the momentum as they were forced to punt after the offensive drive stalled. On the ensuing possession for the Maroons, Rasner showed his talent once again. 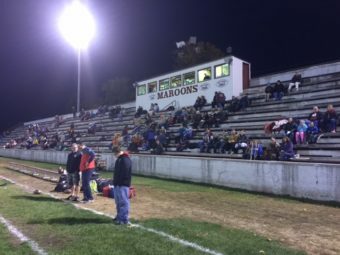 This time, Rasner took it 73 yards for a touchdown and the Maroons took a 14-0 lead. 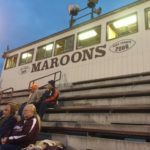 The Maroons scored two more times in the second quarter, and then the Marquette offense came to life. Down 28-0, Drew Gale was able to cross the goal line for the Redmen just before halftime to cut the Maroon lead to 28-0. The Maroon offense was able to strike again quickly, however. 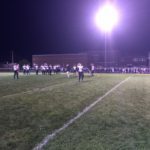 With just 5 seconds left, Menominee scored to take a 35-7 lead into the break. In the second half, Menominee began right where they left off. 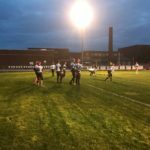 Rasner scored from 62 yards and Ethan Mileski added another score as the Maroons jumped on the Redmen 49-7. 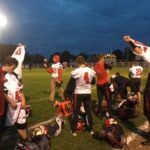 This is when the Redmen offense caught their stride. Proving they were not going to go down without a fight, the Redmen got to work. For the next quarter and a half, the two teams traded scores like heavyweight boxers trading blows. The Redmen got on the board again when Wyatt Goodwin caught a TD pass to bring Marquette closer at 49-14. Unfortunately for the Redmen, no matter how often they scored, Kiefer Rasner was not to be denied. The crowd in Menominee was taking in all the great action! 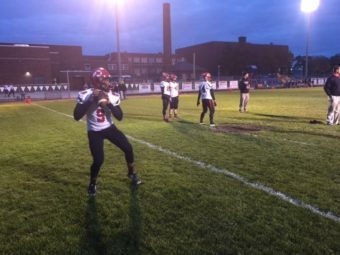 Rasner answered the Redmen touchdown with an 80-yard touchdown run. 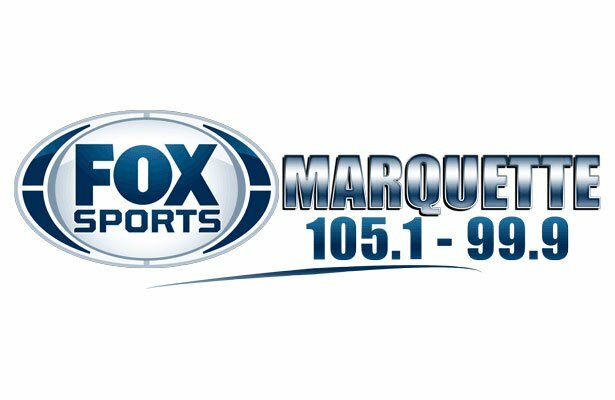 Marquette got a big play of their own on the ensuing possesion when Drew Gale ran one 65 yards to the house to make the score 55-21. Then again, Rasner answered the bell. 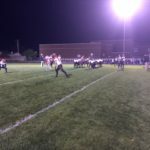 He reached the end zone for the 5th time in the game to put the Maroons up 61-21. The Redmen fought tooth and nail to the very end. 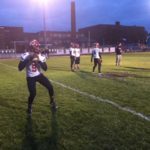 Marquette quarterback Jackson Ostrowsky tossed two touchdowns in the fourth quarter as the game ended on a positive for the Redmen. The Redmen offense getting ready to go! The Redmen making final preparations for their game against the Maroons! The Redmen getting set to go!